Upon graduation from the R.A. Schools, Stobart embarked on a voyage to South Africa to visit his father who, in 1950, had purchased a pharmacy in Bulawayo, – Southern Rhodesia (later Zimbabwe) – starting out on a new adventure at age 59. It was during this voyage, that the young artist came up with a novel idea. Gathering material, making sketches in each of the twelve exotic ports the passenger-cargo vessel put into, John Stobart realized new horizons. If he could borrow plans for new vessels being built, he could best take advantage of all that he had carefully observed in these exotic ports. Using his volume of sketches as background settings, and knowing these vessels could not be photographed, Stobart surmised that there would be a strong chance that paintings of the new ships would be attractive to the owners. 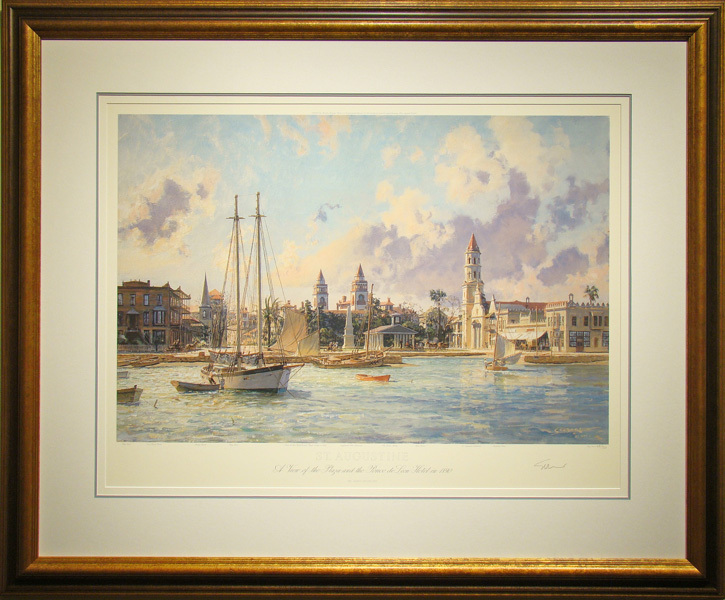 The original paintings would be suitable for board room displays, and the prints could be used on calendars that each shipping company sent out annually. Unhappy with the class prejudice he was experiencing in London, Stobart emigrated to Canada in 1957. For the following ten years, he developed the interest of shipping companies along the St. Lawrence River, returning to England each year where Stobart kept a home in Farnham, Surrey, in order to meet the demands of the customer base he had established previously. 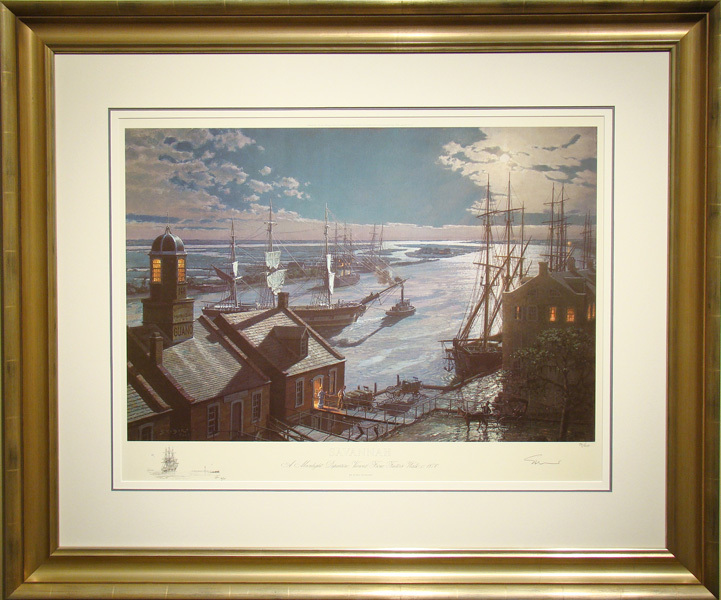 Later in 1965, John Stobart first visited the United States with four paintings of sailing ships, carefully wrapped up in brown paper and tied with string, under his arm. His idea was to see New York and find out what reaction there might be to his new paintings among four carefully chosen galleries. The same day he arrived in New York he was offered a one-man show. Seeing his large new originals disappear into private collections throughout the United States, Stobart initiated the idea of publishing limited edition prints of his more important works. He did this so that many more people than the originals’ owners could appreciate these documents of scenes that no longer existed. 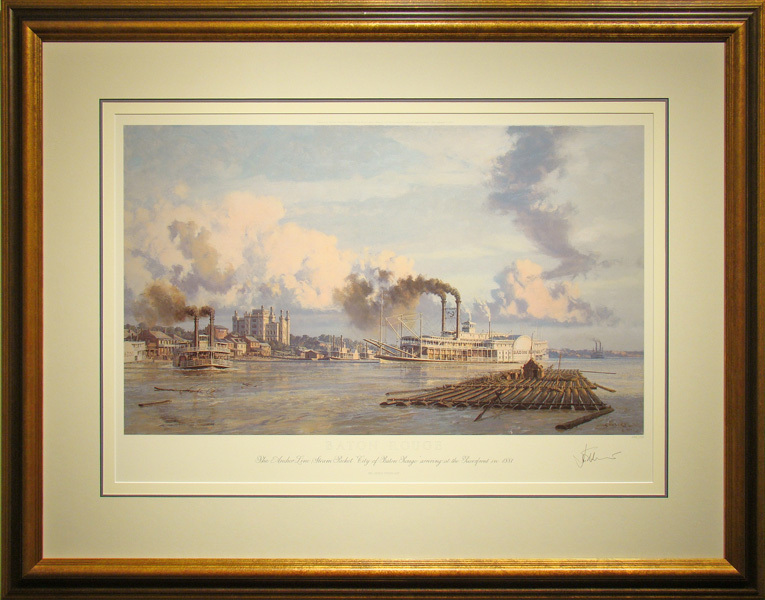 Stobart established Maritime Heritage Prints, Inc. in 1976 feeling that the highest quality of production could only be assured if he himself remained in control. 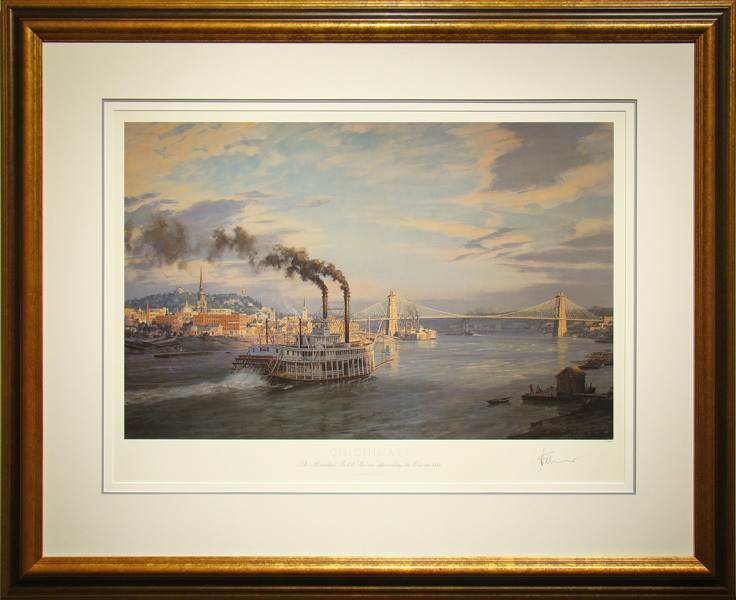 Robert Paul Galleries is proud to show the works of John Stobart to the American collector.